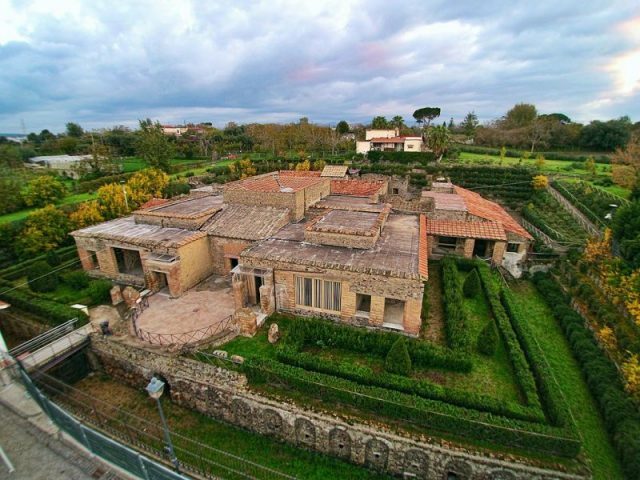 Italian police detained a British woman for removing tiles from a mosaic in Pompei, Italy. The 21-year-old tourist was caught lifting pieces from a floor mosaic in the archaeological site House of Anchor. According to media reports, she had crossed a protective railing and was seen using a tool to dislodge the mosaic tiles – called tesserae – from the floor mosaic. When she tried to leave the area, the local Carabinieri police, notified by the site’s staff, stopped her. The incident caused about $3,000 worth of damage, the site’s manager estimated. Pompeii has long struggled with unscrupulous visitors who steal relics as holiday souvenirs or even to sell for a profit. 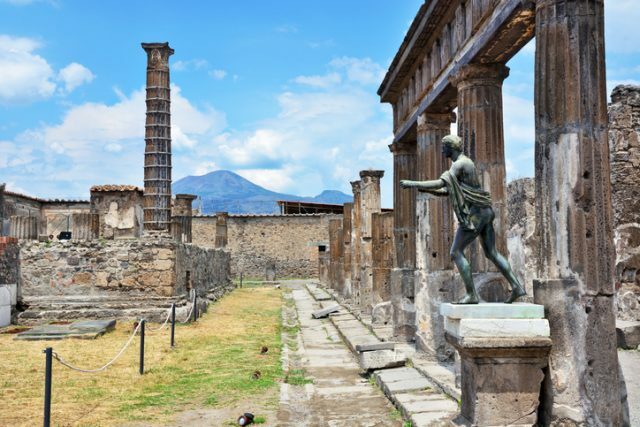 Nearby Mount Vesuvius erupted in 79 AD, killing many Pompeii residents and entombing the city. 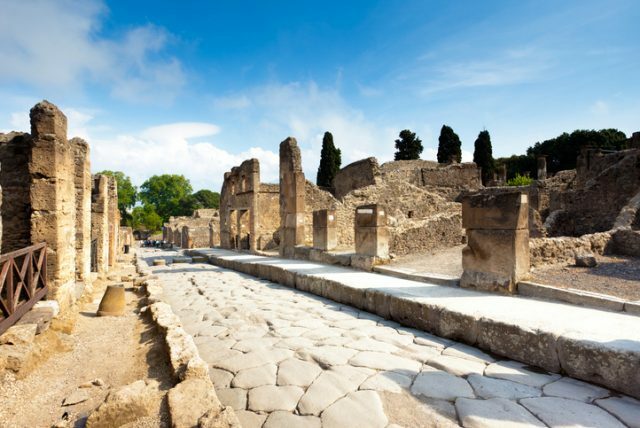 Last year police arrested two French tourists found stealing pieces of marble and earthenware at Pompeii, Italy’s Il Giornale reports. In 2016 an American took a piece of marble from the floor of the House of the Small Fountain, the paper said. An exhibition of the returned artifacts and accompanying letters of apology has recently been set up at the site in the hopes of deterring would-be thieves. 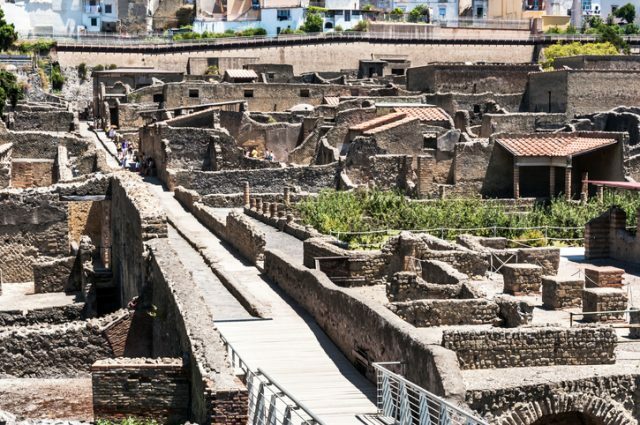 The 21-year-old woman, who was visiting the famous archaeological site with her father and sister, was cited for aggravated damage after she crossed a guard rail around the mosaic to take the tiles, police said. 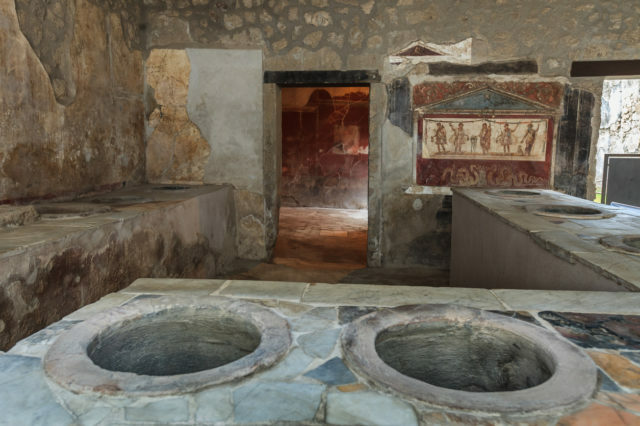 New research is being conducted at the Pompeii site all the time. A recent study revealed that Mt. Vesuvius’ explosion was hotter and more extreme than previously thought. Scientists now believe that Mt. Vesuvius erupted with a thermal energy 100,000 times more powerful than the atomic bombs over Hiroshima and Nagasaki. The scientists’ study was released in October 2018 in the scientific journal PLOS One. Work was performed by several researchers, including lead author Pierpaol Petrone. 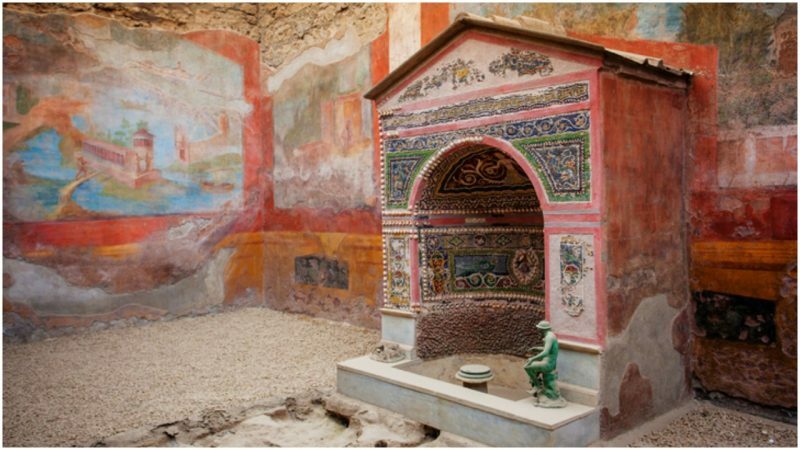 The town of Herculaneum was a short distance from the volcano. Pompeii was buried, and Herculaneum “was suddenly hit and overwhelmed by volcanic ash avalanches that killed all its remaining residents,” the study notes. The experts say the temperatures from the volcanic explosion were anywhere between 750 and 930 degrees Fahrenheit. In late 2018, the remains of a horse still in its harness were unearthed at a villa outside the walls of Pompeii, in what archaeologists are hailing as a find of “rare importance.” Because the horse was saddled up and ready to go, archaeologists theorize that the horse’s owner was preparing to flee the 79 AD eruption of Mount Vesuvius that buried the town in ashes. The horse in harness was found with the remains of other horses at what is called the Villa of the Mysteries. In March 2018, north of the wall of the archaeological site of Pompeii, a joint operation of the Archaeological Park with the Public Prosecutor’s Office of Torre Annunziata (with Chief Prosecutor Alessandro Pennasilico and Deputy Prosecutor Pierpaolo Filippelli), the Carabinieri Group Command of Torre Annunziata, and the Naples Command for the Protection of Cultural Heritage led to an excavation intervention in order to halt the activity of grave robbers.